At the Broderson Awards, which honor creative excellence in the Maine advertising community, Vreeland was recognized in multiple categories including gold for Rancourt & Co.’s website redesign and silver for Bath Savings Institution’s 160th anniversary campaign. 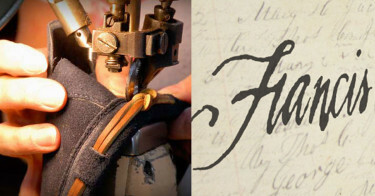 Vreeland once again took top honors at the Maine Public Relations Council’s Golden Arrow awards. 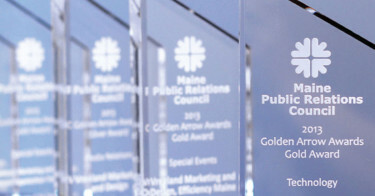 In a juried competition against Maine’s leading PR specialists, we were recognized for our client work in technology, social media, special events and media relations. 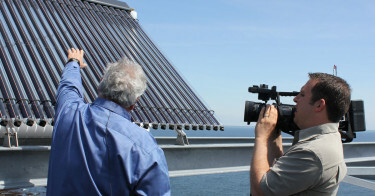 A year after installing one of Maine’s largest solar thermal projects, The Cliff House Resort & Spa found it was saving 82 percent more in fossil fuel than originally projected. 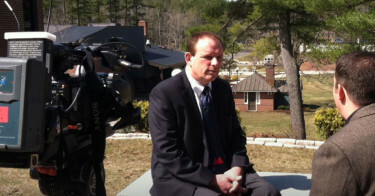 Vreeland pitched the story and earned the Resort news coverage in Portland and Bangor.